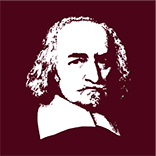 Thomas Hobbes (1588–1679) was an English philosopher, who is today most remembered for his political philosophy and, in particular, Leviathan (1651), which has come to be regarded as his masterpiece. However, Hobbes’s writings spanned many different genres and addressed a variety of subjects, ranging from English translations of Thucydides and Homer to a dialogue history of the civil war and a Latin poem about the abuses of priestcraft. 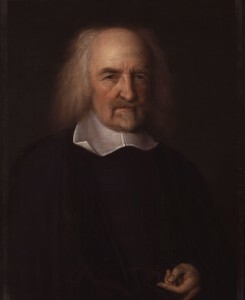 Hobbes developed a tripartite system of the elements of philosophy addressing ‘body’, ‘man’, and ‘citizen’, which he eventually published as De corpore (1655), De homine (1658) and De cive (1642). In the Epistle Dedicatory to De corpore he boasted that civil philosophy is no older than his De cive, and he thought that he was the first to raise the study of politics to a scientific level, based on the geometrical method he admired in Euclid. For those who like labels, Hobbes was a materialist, a necessitarian, an absolutist about sovereignty, and an Erastian on church–state relations. He is sometimes considered the first great theorist of the modern state, and is probably most famous for having argued that subjects owe obedience to whoever is able to secure peace and order. He provided the schematic for what would become social contract theory, by supposing rights-bearing individuals in a state of nature who have to contract together to form a commonwealth. The importance he placed on individual rights and consent in legitimising political authority places him in a somewhat paradoxical relationship with liberalism. Hobbes was widely criticised in his own day, largely for his religious views, and still today you’ll find few people avowing his doctrines. But in many ways it is the covert influence of Hobbes, and the debts to him that people prefer not to acknowledge, that make him a thinker of such importance and intrigue today.